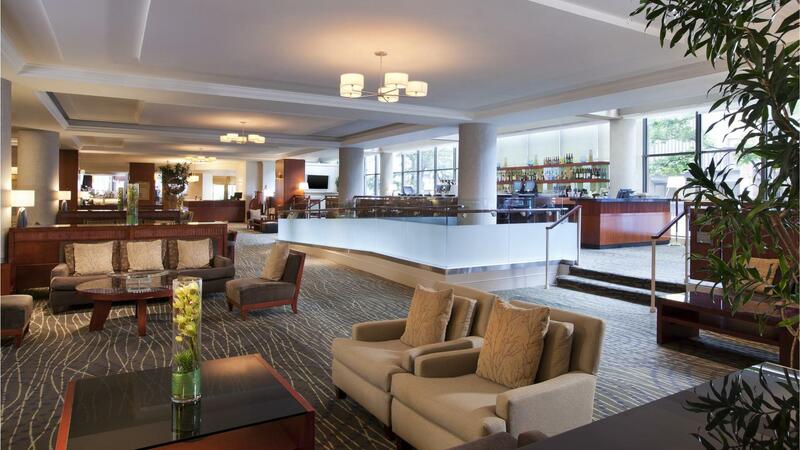 Rent The Westin Seattle | Corporate Events | Wedding Locations, Event Spaces and Party Venues. With 29 Seattle meeting rooms (totaling 47,500 square feet) The Westin Seattle is the perfect setting for your next event. Anchored by an 18,030 square foot Grand Ballroom, The Westin Seattle's unique technology capabilities provide guests with the highest level of service in the industry. A high speed, specialized connection directly links to the Internet backbone of Seattle at speeds of 60 megabits per second, providing clean access for over 1,000 computers. Fiber optic cabling connects each Seattle meeting room to the Internet, providing a quick and reliable way to accommodate many computers in each meeting room. From intimate events to corporate functions, we provide the tools you need to plan the ideal gathering. Located in the vibrant heart of downtown, The Westin Seattle is an iconic landmark in which to host your celebration. Our newly transformed event space features versatile options, allowing you to host an intimate event in a luxury suite with sweeping views of Elliott Bay, to a blow-out bash for over 1,000 in our Grand Ballroom. Our knowledgeable and experienced staff will see to every last detail while you enjoy an elegant celebration with friends and family. Select your wedding site from a variety of exceptional venues: the spectacular Grand Ballroom, the Cascade Ballroom, or perhaps one of our more intimate spaces will fit your vision. We offer a total of 47,500 square feet of Seattle wedding venues, including the 18,030 square foot Grand Ballroom that can accommodate up to 2,000 guests.